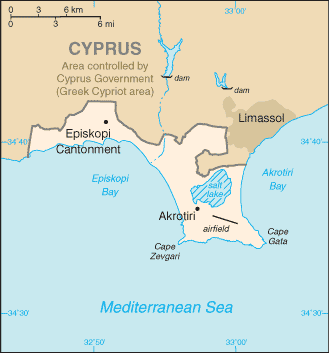 Akrotiri and Dhekelia are two areas on the island of Cyprus that are used as military bases of the United Kingdom. The bases were kept by the UK after Cyprus changed from being a colony in the British Empire, to being an independent republic. 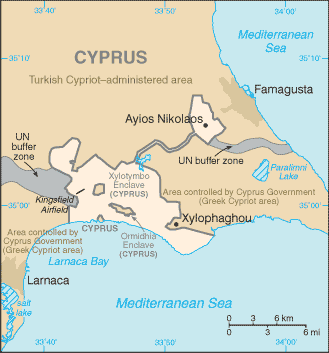 The United Kingdom kept them because of the important location of Cyprus in the Mediterranean Sea. Akrotiri and Dhekelia Facts for Kids. Kiddle Encyclopedia.